Differential quadrature phase shift keying (DQPSK) encodes the phase change from one symbol period to the next. The precoder is designed for this purpose. The main objective of this paper is to design a simple precoder of the DQPSK transmitter. The precoder is designed using various blocks such as multiplexers, logic gates and flip-flops. The blocks are designed using Mach–Zehnder Interferometer-Semiconductor Optical Amplifier. The designed optical precoder is simulated and tested. It is capable of mapping input bit streams to quadrature components at a data rate up to 10 Gbps. Performance parameters such as Q factor and BER are analyzed for various data rates from 2 to 10 Gbps. 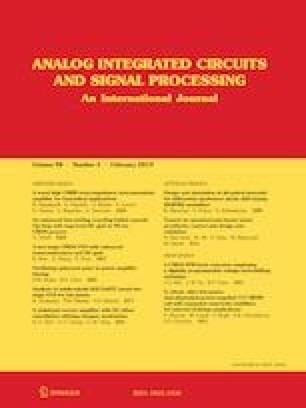 The values of Q factor and BER at a data rate of 10 Gbps are found to be 5.4 and 1.5e−8 respectively. Hence, it is suitable for the high-speed transmission system.